WWII: Returned to the Devil’s Brigade in the Second World War, as an allied spy and paratrooper for the 1st Canadian Parachute Battalion during the Normandy landings on D-Day. 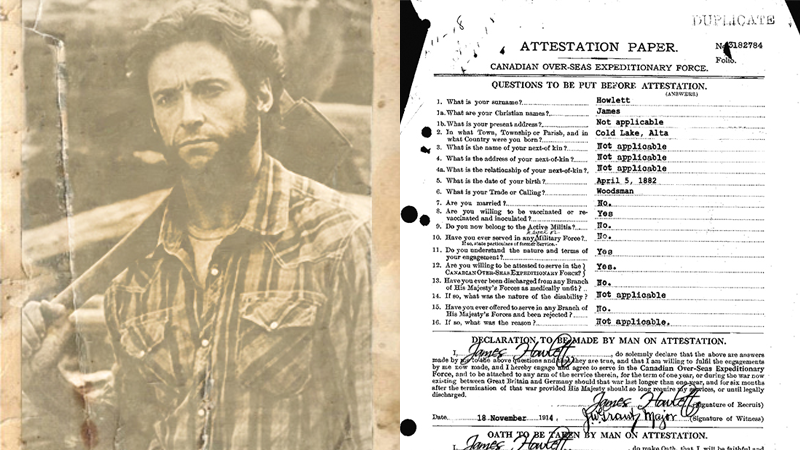 James Logan Howlett James “Logan” Howlett. It’s a clever, well-executed, and transparently fake gag, unlike pretty much every other fake and/or dumb “news” article that flooded the internet today, which is why we’ve chosen to highlight it. However, as good as it is, it not even close to justifying all the multitudes of pain and stupidity spewed out today. April Fool’s Day is, and always has been, the worst. That is all.